With the Scarlet 2.0 range of LCD televisions, you can listen to TV with wireless headset, or enjoy viewing your mobile phone photos and MP3 songs on TV. 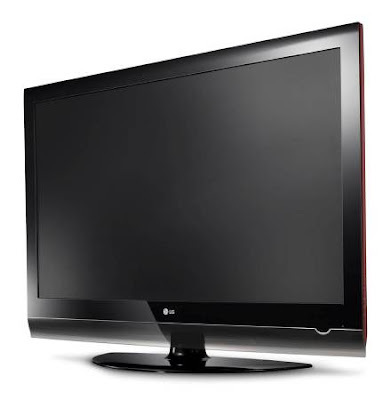 Friday, May 08, 2009: LG Electronics India (LGEIL) has launched Scarlet 2.0 series of LCD televisions in the country. In addition to slimmer design measuring at 39.7 mm, the new Scarlet comes with Bluetooth Compatibility which gives the viewer an opportunity to explore with the chic gadget. So, with this, one can listen to TV with wireless headset, or enjoy viewing his mobile phone photos and MP3 songs on TV. Another USP of the product is the In-Plane Switching Panel Technology (IPS), which offers unparalleled sharpness, faultless colour restoration and the great viewing angles, according to the company. The IPS Panel is also claimed to be 30 per cent lower on power consumption. Scarlet 2.0 series from LG is available in TruMotion 100Hz full high definition format in 47”, 42” and 32” screen size. According to LG, Scarlet 2.0 can cut energy bills by up to 75 per cent, proving her leadership in eco-friendly products. “The futuristic approach of LG India in FPD segment shall be to continue launching revolutionary products like Scarlet 2.0 which will further complement the urbane lifestyle of its audience,” added Moon B. Shin, managing director, LG Electronics India. The Scarlet 2.0 range offers a contrast ratio of 100000: 1, best picture quality with 100Hz full Hi-Definition – 500 times better than Standard Definition. It is DivX USB 2.0 enabled. Just plug in the USB device in the USB port for enjoying movies, music and photographs. The new Scarlet has enhanced 'Clear Voice' feature with 12-level voice control (-6 to +6) enabling adjustment to the voice frequency. The new series has a much shorter response time of 2.4 ms as compared to the earlier series to view fast moving images. It is available in 32”, 42” and 47” sizes with invisible speakers tuned especially for LG by acoustic guru Mark Levinson. The MRP for the Scarlet 2.0 range is as follows -- the 47LH70 model is priced at Rs 99,990; the 42LH70 model is available at Rs 79,990; and the 32LH70 Scarlet 2.0 model carries a price tag of Rs 49,990.